Create your own medical chart dividers with these ecom folders divider sheets and individual stick-on tabs. Each divider sheet is letter size with 2 holes punched on the top and 5 holes punched on the side. These divider sheets are made out of manila index stock and are sold per box of 250. They include printed placemet marks for the easy placement of stick-on tabs. These divider sheets work with our individual stick-on tabs to allow you to create your own medical chart dividers. 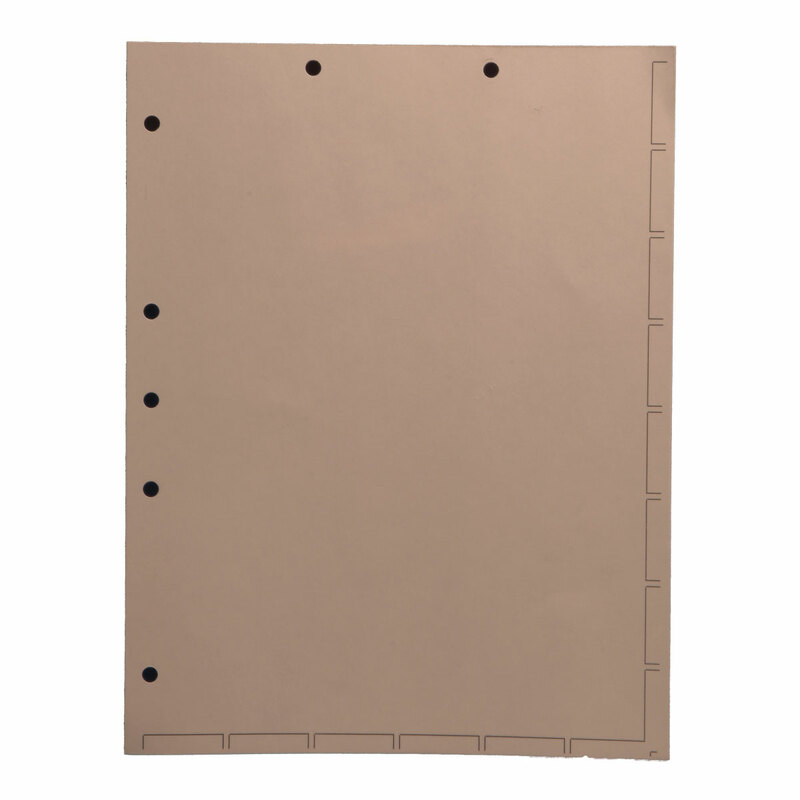 Each divider sheet is letter size, 8-1/2" x 11", with 2 holes punched on the top and 5 holes punched on the side. Each sheet includes 1-1/4" wide printed placement marks to apply our stick-on tabs. There are 6 placement marks on the bottom and 8 down the side. The sheets are made out of sturdy manila index stock. They are packaged and sold by the box of 250 sheets. Product specifications are comparable to Medical Arts Press® (MAP) part number 20251.